Can Jose Mourinho silence the home crowd? "Jose Mourinho will be wary of Benjamin Mendy’s speed, and will need a mobile player to track him up and down the line"
Match Odds: Man City [1.4], Man Utd [8.8], The Draw [5.4]. Manchester City start this as strong favourites, and will be out for revenge against Manchester United, who gatecrashed City's party here last season with a memorable 3-2 win from behind, ensuring Pep Guardiola's side needed to wait another two weeks to confirm their league title. Guardiola has no new injury problems coming into this game, although he's still without Kevin De Bruyne, whose brief return to action saw him suffer another injury. Nevertheless, Bernardo Silva has been in outstanding form in the right-sided midfield position, and has often been amongst City's star players this season, so the Belgian's absence isn't too much of a blow. Guardiola's other selection dilemma is whether to use Riyad Mahrez or Leroy Sane. Mahrez has been in good form recently, showing an ability to cut inside dangerously from the right, while also getting himself into goalscoring positions. Sane, meanwhile, looked lively in the 6-1 thrashing of Southampton last weekend, scoring once and also hitting the post with a long-range drive. Mahrez seems more likely to start based on form, but Guardiola might prefer to hit United's full-backs with sheer pace. The other two attackers will be Raheem Sterling, fresh from a superb goal in midweek, and Sergio Aguero, who has been in particularly good form recently and will surely Gabriel Jesus out of the side despite the Brazilian's midweek hat-trick. Guardiola has sometimes used them both together, but this 4-3-3 is working too well to change system unnecessarily. David Silva and Fernandinho will play their usual midfield roles, while at the back Benjamin Mendy was rested in midweek and will start at left-back. Aymeric Laporte and John Stones are likely to play as the centre-back pairing because of their skills in possession, while Kyle Walker will be at right-back and Ederson in goal. Manchester United's approach is less certain, although after two good comeback victories this week against Bournemouth and then Juventus, confidence is probably higher than at any point so far this season. Mourinho could go for 4-2-3-1 or 4-3-3. Upfront, Romelu Lukaku seems unlikely to regain his place, and Alexis Sanchez is also a slight doubt, so Marcus Rashford could lead the line here. Anthony Martial is nailed-on to start on the left, and his battle with Kyle Walker should be particularly high-tempo. The right-sided role is difficult to call, because Mourinho will be wary of Benjamin Mendy's speed, and the need for a mobile player to track him up and down. It's difficult to see Juan Mata being fielded in that role, so Mourinho could move Rashford to that flank, which would depend upon either Lukaku or Sanchez being fit to start upfront. Mata might be used in a marking role on Fernandinho, as Mourinho has deployed him there against both Chelsea and Juventus recently with strict tactical instructions. That would leave Nemanja Matic and Paul Pogba in front of the defence, however, so it seems more likely that Mourinho will again use Ander Herrera, using him to shut down David Silva. Defensively, United have looked better in recent weeks, but they might struggle against the speed and movement of City's front three. Luke Shaw has enjoyed a decent campaign but Sane or Mahrez could cause real problems. On the other flank, Ashley Young in good in one-against-one situations but Sterling is in tremendous form. In the middle, Chris Smalling and Victor Lindelof still look prone to errors and Sergio Aguero simply has too much speed for them. Yet City still look too short at [1.4], against a side in decent form who will be geared solely towards shutting down City's strengths. I wouldn't rule out a draw here, and I think [5.7] represents decent value for this one to finish all-square. 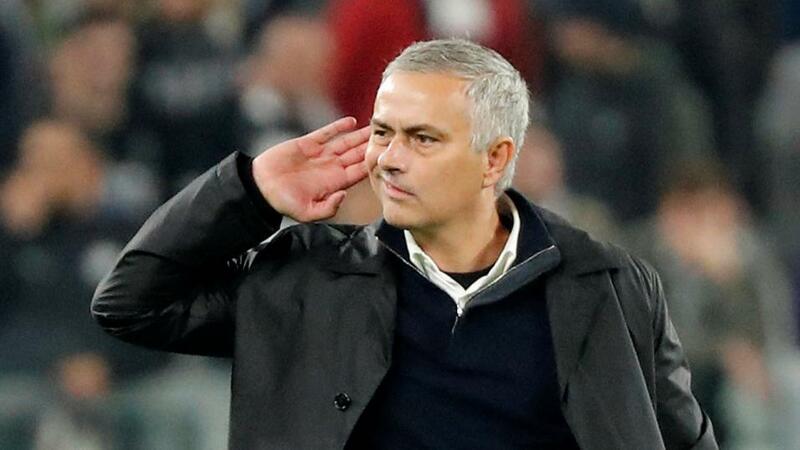 Manchester United produced another memorable comeback on Wednesday coming from a goal down to beat Juventus 2-1 in an incredible last five minutes in Turin. City also had an enjoyable midweek demolishing Shakhtar Donetsk 6-0 at the Etihad. I thought - despite confidently backing them - United were very lucky to escape with a 2-1 win at Bournemouth last week. They may only have lost one of their last six starts in all competitions (Juventus 0-1) but they have conceded first in five of those games, and simply can't keep relying on these late comebacks. While City have only won two of the last derbies at the Etihad they are in absolutely superb form, with an aggregate score of 19-1 in the last four, and are rightful favourites - but [1.4] is too short to back. I think the goals markets may have overreacted to the chance of a high scoring match so that's where I'm concentrating. Those 19 goals were scored against pretty weak opposition (Burnley, Fulham, Southampton and Shakhtar) add United will be tougher to break down. And only seven goals have been scored in the last four renewals of this fixture with five of them in the last meeting. I will be doing a trade on under 2.5 goals, backing it before the off at around [2.9], and then laying off that stake (leaving a 'free bet' on unders) if the market reaches one point lower.